Maverick director Ram Gopal Varma is known for his thirst for media limelight and he will not leave even small opportunity to do so. Currently he is unleashing his Lakshmi's NTR targeting Natasimha Balakrishna's NTR biopic. It is known that ahead of NTR biopic first part, Kathanayakudu, he irritated NTR biopic makers and Balakrishna by releasing Lakshmi's NTR posters, stills etc. 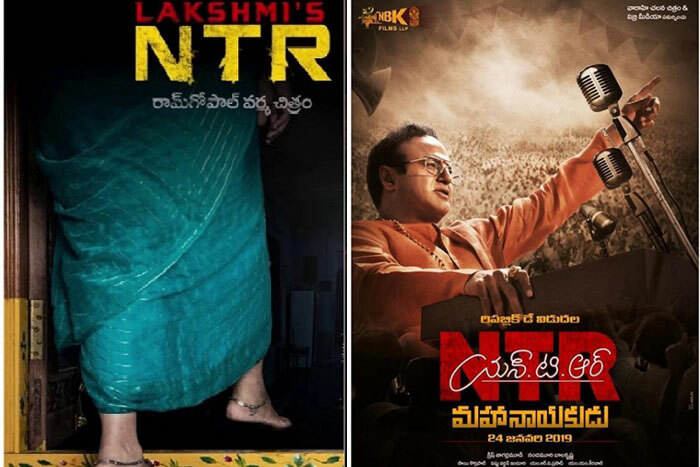 Now even though Kathanayakudu turned out to be a disaster, Rgv is haunting them with his Lakshmi's NTR. While many are waiting for Mahanayakudu release, Rgv with Lakshmi's NTR is teasing them announcing that his film's teaser or trailer will be released only when Mahanayakudu release is announced. Rgv showing his sadistic nature, stated, "Main theatrical trailer of #LakshmisNTR will release on a date depending upon when #Mahanayakudu release date will be announced only because of technical psychological and much above all emotional reasons (sic)". When fans asked more, he posted, "Release date of #LakshmisNTR trailer will be announced the moment when release date of #Mahanayakudu is announced and this only because NTR from heaven instructed me to do so". On the flip side, NTR Mahanayakudu shoot ends today. The team is currently canning scenes on Blakrishna in Vikarabad forest.